A unique introductory text on quantum mechanics, from basicprinciples to historical perspective. * Includes description of the historical developments that led tothe discovery of QM, often left out of other textbooks. * Emphasizes basic concepts that were essential in this discovery,placing them in context and making them more understandable tostudents. 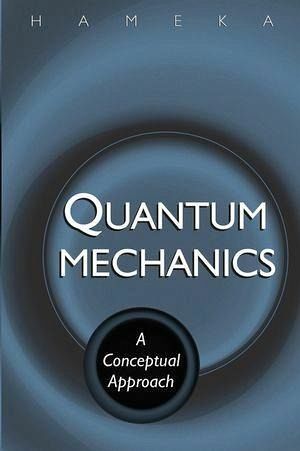 * Written in an easy-to-understand style and assuming no priorknowledge of the topic, this book provides a solid foundation forfuture study of quantum chemistry. * Includes problem sets for student use. HENDRIK F. HAMEKA is Professor of Theoretical Chemistry in the Department of Chemistry at the University of Pennsylvania. Originally trained as a theoretical physicist, he studied quantum mechanics under H. A. Kramers (who in turn had studied under Niels Bohr). This study sparked his interest in chemical applications of quantum mechanics, which subsequently became his principal research specialty. He has written four previous textbooks on this subject, the last of which was published by Wiley. Oppenheimer Approximation. III Nuclear Motion of Diatomic Molecules. IV The Hydrogen Molecular Ion. V The Hydrogen Molecule. VI The Chemical Bond. VII The Structures of Some Simple Polyatomic Molecules. VIII The Hückel Molecular Orbital Method. IX Problems. Index.